Massachusetts Impressions, by Paul Rezendes. 80 pages, 9 1/8" x 8 1/8", 100 color photos, softcover, Smythe-sewn. ISBN 10: 1-56037-495-0; ISBN 13: 978-1-56037-495-4. This beautiful new book on The Bay State doesn’t just showcase spectacular views of the coast, with its tall ships, historic lighthouses, and beautiful seaside communities. 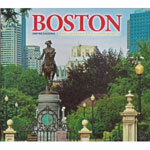 Massachusetts Impressions also takes readers inland, featuring photographs of some of the most beautiful scenery in New England - from the stunning Berkshires to winding, boulder-strewn streams, from pastoral, rolling farmland to lush state forests and their resident flora and fauna. 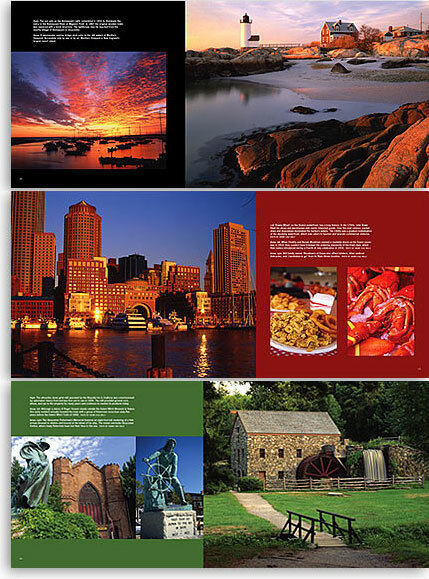 Featuring 100 color photographs, Massachusetts Impressions also works in a great deal of the state’s history and culture, featuring images of Revolutionary War battlegrounds, Native American cultural sites, renowned universities, a variety of living-history, maritime, and art museums, and charming small towns. Inspired by his lifelong love of nature, Paul Rezendes specializes in large-format North American landscapes and seascapes, with a special emphasis on his native New England. He is the author/photographer of several books, and his photographs have been featured in numerous magazines and calendars. Paul lives with his wife in a remote forest on the Millers River in Athol, Massachusetts.